I believe a healthy puppy must be sound in mind & body. All my dogs are loved & cared for & kept in great condition. I have been a member of Dogs NSW for 37 years. 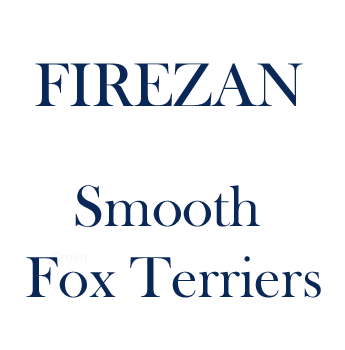 I have been very successful in my 3 breeds: Dobermanns, English Pointers and now Fox Terriers Smooth. I breed & show under my prefix FIREZAN. I am a licensed ANKC All Breeds Judge & FCI All Breeds Judge. I've applied the same practices from my previous experience with horses: Dressage & cross country to Olympic standards that were so successful.